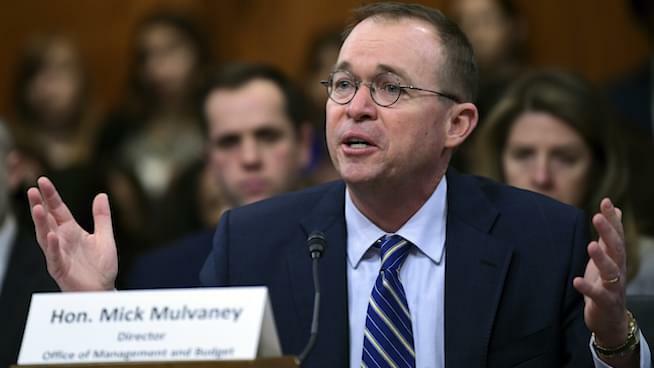 Christopher Peterson of the Consumer Federation of America joined host Michael Finney to discuss Consumer Financial Protection Bureau (CFPB) Director Mick Mulvaney’s baffling decision to request $0 of government funding for the upcoming fiscal quarter. The unexpected move, which has consumer advocates enraged, confirms suspicions that the CFPB is under siege from the inside, with Mulvaney leading the attack and an army of financial institutions wielding the weapons behind him. But why would Mulvaney seek to undermine the agency he is heading? According to Peterson, the answer to the question becomes clear when you take into account his current adjacent role as White House budget director. Listen to the full segment below to hear Peterson explain how and why Mulvaney’s dual title is leading to the demise of the CFPB.